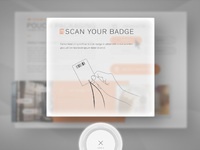 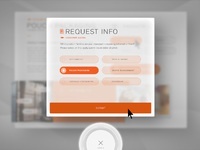 User interface for a 55" touch screen product kiosk experience. 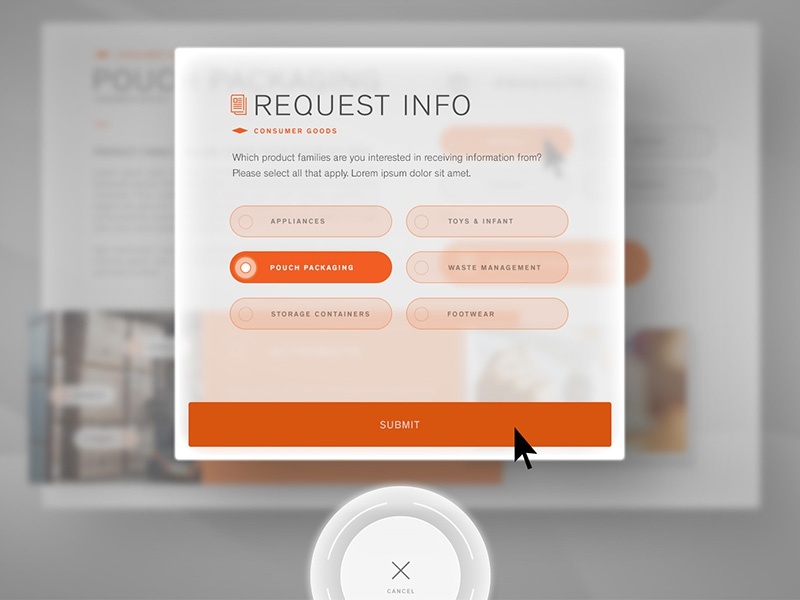 The touch screens were set flat on an inset table-top, so to ensure optimal usability and accessibility, a dedicated multi-purpose control button was provided in the bottom center of the screen. 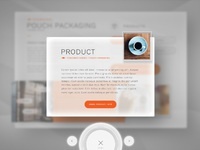 Additional deliverables produced: animated screensavers, product library screen and product detail screen.